We have been quite impressed with the fitness programs that have been popping up at Green Ribbons Schools across the country in the past couple years. With obesity rates on the rise, and outdoor playtime being cut in homes and at schools, we feel it is important to give kids as many opportunities as possible to get outside and get fit. One way that we have seen many schools incorporating fitness activities in their schools is through “Mile Clubs.” Take a look and see how these schools have implemented these programs at their schools. We hope it inspires you to get moving at your school too! Students in grades 3, 4 and 5 participate in a Mile Club on a weekly basis, weather permitting. The purpose of the Mile Club is to help students improve their cardiovascular system. Student laps are recorded and at the end of their class, they sign their names on the Mile Club poster they have earned. Mile Clubs include one, three, five, seven and ten miles. For all the details on this project visit Zelma Hutsell Elementary’s published page on Green Ribbon Schools website. 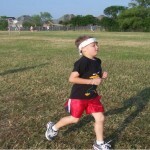 The Morning Mile is a program where students come before school, 7:15-7:45, and can run or walk as much as they want. A track has been measured and marked. 4 laps equal a mile. For every 5 miles, the student receives a charm. We promote this on the morning announcements, our campus webpage and the classroom webpage. Parents and siblings are invited to walk with the students. The activity is run by a parent volunteer with support from other volunteers. 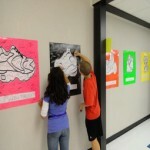 During the 2011-2012 school year Willis Lane Elementary students ran/walked a total of 6,252 laps,which is 1,588 miles. For all the details on this project visit Willis Lane Elementary’s published page on Green Ribbon Schools website. The biggest effort to date has been a district-wide push to get each school certified as a “green school,” a goal that was finally achieved in the 2011-2012 school year. “Marleen Luckman researched about a dozen programs for us, and found one we felt would be the best bet for Ojai,” said FFT executive director Lori Hamor. Luckman, in charge of FFT’s green operations and teacher support, settled on Green Ribbon Schools. The national program gives a series of flexible Earth-friendly cornerstones to help teachers and administrators develop projects that work best for their individual schools. “The Green Ribbons Schools website is really set up for educators to visit and come up with ideas, so they’re not scratching their heads thinking, ‘Wow, there’s all this emphasis on going green, but what should we do?’ It gives them ideas based on what’s been done at other schools, and what works,” said Hamor. “Often playing video games is associated with unhealthy behavior. There is a strong stereotype of a gamer who stays in the basement, eating junk food and never leaving the house.